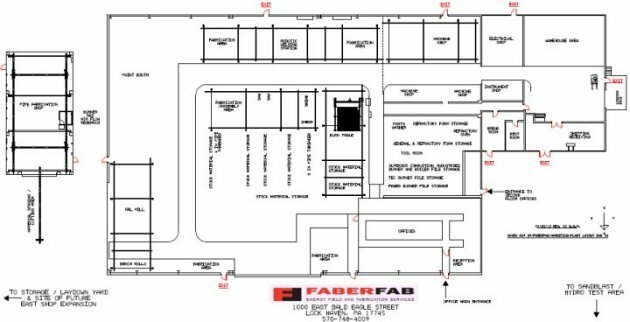 FaberFab has over 45,000 sq. ft. under roof, and 13 acres available for material staging, with the ability to grow with the demands of the market. Instructions: Move your cursor over the text below to highlight the area on the facility map. Click on the highlighted area or text for photos and equipment details.